Get skoold on the art of Wheatpaste, Stencil making and some insane drawing techniques with artists Sean Hedican, Lora Northway and David Hotson. This workshop begins at 5:30 pm, all supplies are free and on hand. Just drop by, bring a friend and then we hit the streets. Aboriginal youth from all communities are welcome to join. Live too far away? 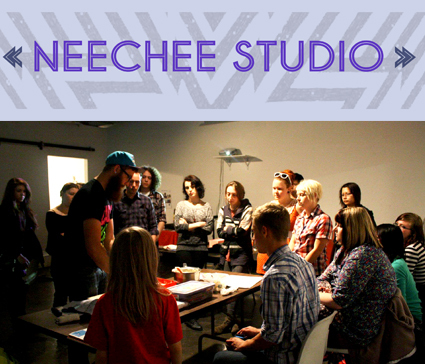 If you can’t make it to the workshops post your own art on Instagram #neecheestudio or Facebook!